Cooking Hacks to Become a Kitchen Pro! One of the most beautiful skill to learn in life is cooking. Once you become good at cooking, you are able to cook all the food you want in the comfortable premises of your home. You won’t need to order a take-out or delivery anymore. As such, you save money in the process. Aside from that, you’re sure that the quality of your food is good. You don’t need to worry about eating junk and processed foods that can jeopardize your health. Learning how to cook is such a bliss. However, like any other skill, cooking requires a lot of time, dedication, and effort. There are many frustrated cook and chefs out there. Learn these hacks and become a kitchen pro. Prevent pasta from sticking together without the oil. 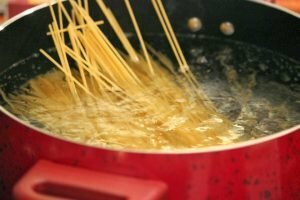 When cooking spaghetti or pasta most people use cooking oil to prevent it from sticking together. The problem with adding oil is that it can also make the pasta sauce slide off. Is there another way out? The answer to that is by diluting it with water. Using the right amount of water (1 liter per 100 grams of dry pasta and 1.5 liters for 100 grams of fresh pasta) will alleviate both of those issues. One of the problems that people encounter when peeling boiled eggs is cracking the eggs inside. In this case, we recommend that you use a baking soda. Add a teaspoon of baking soda in a cold water before you put the egg on the pot. By the time the water boils, cover the pot and leave it for 15 minutes. Afterward, you’ll be able to peel the eggs without any problem! Easy, peasy! Reheat in the shape of a ring. When dealing with leftover foods, most people separately reheat every type of food for a few minutes. 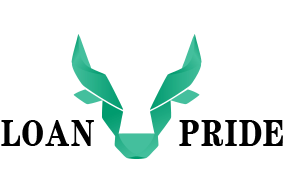 However, you can now save your precious time with this trick! Simply put all your leftovers in the cooking pan in form of a circle. Leave the center empty. When you reheat it, the heat will be distributed evenly, resulting in a faster reheat process. For most people, overcooking or undercooking fish is a disturbing issue. 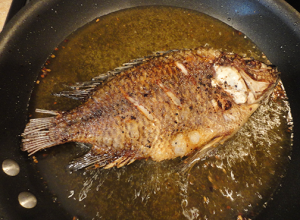 An overcooked fish looks burnt and inedible while undercooking destroys the fish. Well, you don’t need to fret anymore as here’s the solution to your problem! For those who didn’t know, it’ll only take around 3-5 minutes for a fish to be ready. This should give you a rough estimate of when to turn your fish. If you have a meat thermometer handy, the perfect internal temperature is 145 degrees. Prevent lettuce from wilting with a paper towel. Lettuce, like any other vegetable, spoils after only a short period of time. This could be a problem if you are trying to make homemade sandwiches or salads using lettuce. How can you enjoy a healthy snack without this precious ingredient? Well, a paper towel may be the solution to lettuce spoilage. Before you put it in the fridge, wrap it with a paper towel. The paper towel will absorb the excess moisture that causes the wilting of the lettuce. In this way, your lettuce will stay crisp for longer. Did you know that there are different versions of eggs you can cook? Yes! 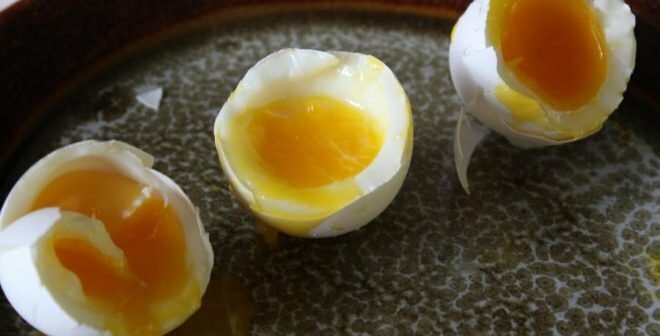 If you still want to have a runny yolk, boil your eggs for about 6 minutes. 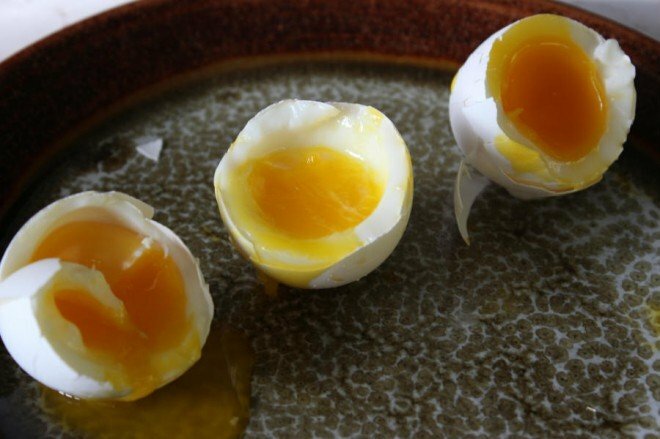 If you want to have a completely boiled egg, boil it them for 10 minutes.